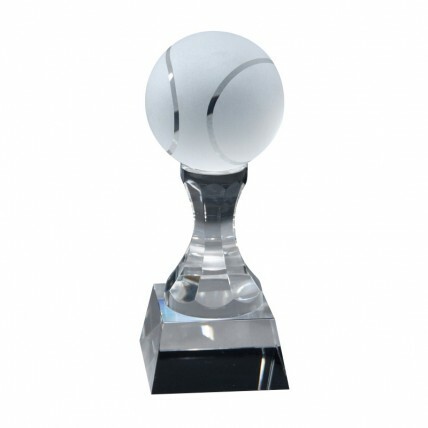 Looking for a crystal tennis ball award for your coach or favorite fan? The Optic Crystal Tennis Award has a frosted tennis ball perched on a cut crystal pedestal. A joy to give this stunning optic crystal award that will look great on any desk or shelf. The perfect gift for the best coach you have ever had! This beautiful light catching award comes with professional etching on the base.